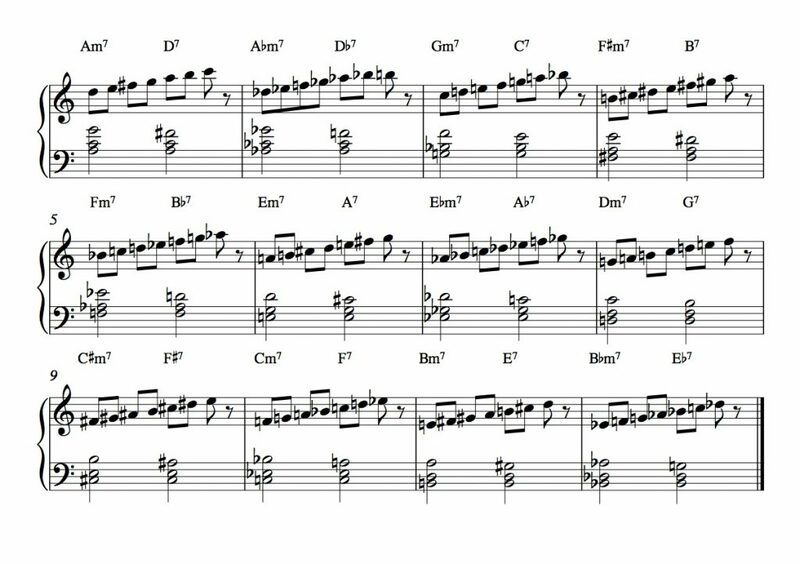 When we add the I chord to each ii-V progression, it relates the ii and the V to the key from which they originate, and creates a three-chord progression that is one of the most common in jazz standard tunes. The major 7th chord can be outlined with the major scale starting on its root. When these three chords are outlined with these two scales we can see that each 7th scale uses the same group of notes as the major scale that follows it. 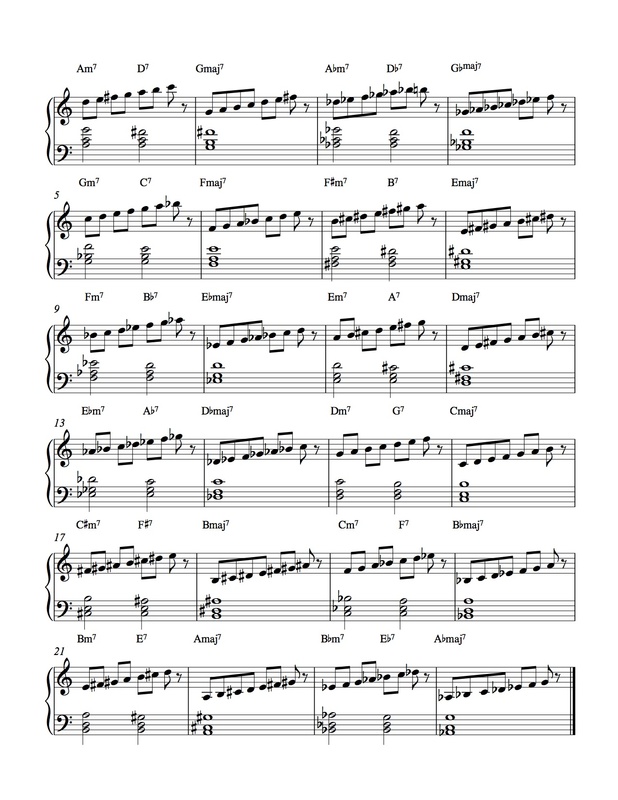 This entry was posted in Root Systems (root position voicings). Bookmark the permalink.